The largest East Passyunk Crossing Civic Association event returns. Photo courtesy of East Passyunk Crossing Civic Association. In true South Philadelphia fashion, crowds will once again gather to taste local stabs at the best “red gravy” our neighborhoods can offer. 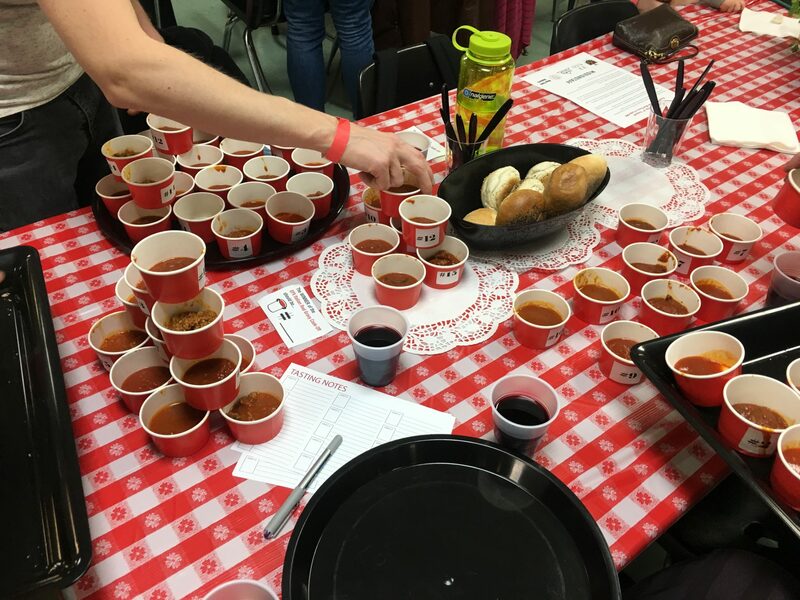 Featuring the product of coveted recipes from amateurs to professionals, the East Passyunk Crossing Civic Association is slated to host its fifth annual South Philly Italian Red Gravy Cook-Off on Sunday, March 31, at Saints John Neumann and Maria Goretti Catholic High School, from 4 to 6 p.m. Serving as the civic association’s largest event, the competition, which kicked off five years ago in appreciation of the local Italian culture, continues to grow each spring. The blind-tasting competition, which Gross says saw a turnout of more than 200 folks last year, partners with various local businesses each year, including Triangle Tavern, which will feature its renowned vegan spaghetti and meatballs, and “Mamma” Maria di Marco of Mamma Maria Ristorante Italiano, who will supply the macaroni served under the vying gravies. For the first time, the celebration will feature a few new sponsors, including complimentary wine tastings from Chaddsford Winery of Delaware County and fresh bread from New York Bakery based in Lower Moyamensing. This year’s event will spotlight the crushed-tomato delights of 10 contenders offering meat, seafood or vegetable-based gravies. 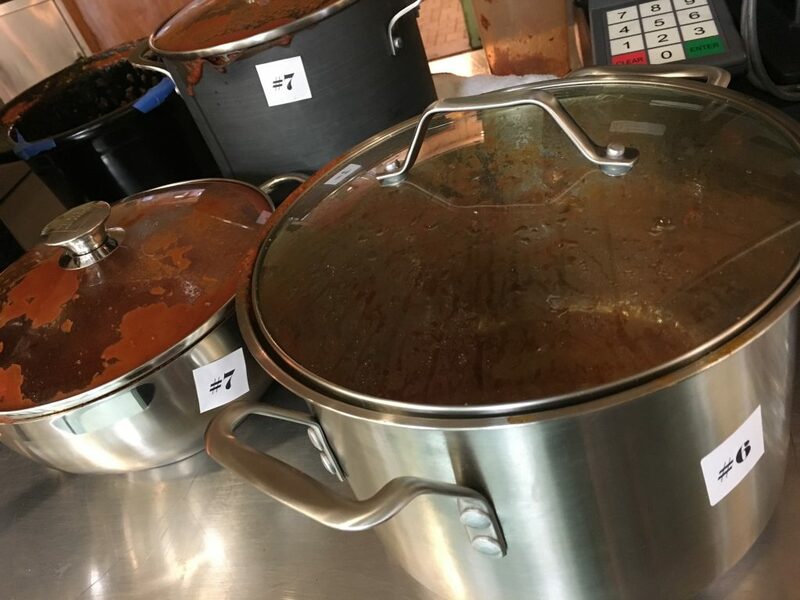 After each candidate submits three gallons of their gravies, attendees will sample the prospects with pieces of bread from 4 to 4:45 p.m.
Around 4:45 p.m., the participants will choose their favorite gravy to consume over a bed of di Marco’s pasta. From there, the competition will be split into two segments, as the cherished titles of “South Philly’s Top Red Gravy Chef” will be voted by both the crowd and a panel of judges. Each award includes $200 and an original trophy. Switching up the judges each year, the 2019 panel is comprised of former WHYY reporter and current state Rep. Elizabeth Fiedler, state Sen. Larry Farnese, Councilman Mark Squilla and di Marco. “We especially like to have our local celebrities,” Gross said. Along with the pasta, attendees will enjoy complimentary bread, salad, beverages, coffee and dessert while listening to the sounds of Frank Sintra and other fitting tunes. Libations and 50/50 raffle tickets will be available for purchase. Tickets cost $20. Children 12 and younger will receive free entrance. All proceeds benefit the East Passyunk Crossing Civic Association. Whether a longtime resident or recent transplant of the East Passyunk Crossing neighborhood, which spans from Broad to 6th streets, Tasker Street to Snyder Avenue, Gross stresses that the South Philly Italian Red Gravy Cook Off is a thrilling yet tasty way to mingle.